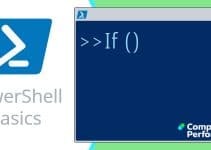 In PowerShell, nouns always come after the verb. For instance: Verb-Noun, Get-Process, New-Alias or Set-Location. One advantage of researching a noun is that it can lead to other interesting cmdlets in the same family. Special note: the pipeline symbol displays as ¦ at the PowerShell command-line, but as | in notepad. Firstly, remember the sequence: Verb-Noun. Secondly make a point of collecting PowerShell nouns. Each construction begins with a verb then a hyphen, finally the Verb or object for example, Get-Childitem. However, because ‘get’ is the default PowerShell verb, it is sometimes omitted thus you see ‘Service’ rather than Get-Service.